Yesterday I started a blog post series entitled The Nature of God. In it I shared about a Bible study I attend that is doing a curriculum by a well-known Bible study teacher on the book of Romans. We are in Romans 9. I don’t care for the curriculum because it doesn’t come from a grace-based, finished work of the Cross teaching. Psalm 89:14 (KJV) – Justice and judgment are the habitation of thy throne: mercy and truth shall go before thy face. In the Hebrew it says that Justice and Judgement are the dwelling place of His throne. Covenant Loyalty and truth shall go before your face. The foundation of His throne is Justice and Righteousness but when He turns His face toward us….. what flows from that throne…. that beautiful throne of grace…. is mercy and truth. Or as it actually says in the Hebrew, covenant loyalty (chesed) and truth. Psalm 85 also talks of covenant loyalty (mercy) and truth together. God’s covenant loyalty and truth, of course, are really met together only in Jesus Christ. To be just, God had to punish sin (Ezekiel 18:4 and 20). But His mercy didn’t want to give us justice (James 2:13). This problem was solved in Jesus. God the Father laid our punishment on Jesus (Isaiah 53:6), and now through Jesus, we can receive God’s mercy (Ephesians 2:4-6). Oh happy day!!! Mercy triumphed over judgement. Therefore, mercy and truth have come together. Righteousness and peace have kissed each other. Thank You, Jesus! This is a miracle that could only occur because Jesus took all of God’s wrath for our sins (Isaiah 53:6 and John 12:32) into His own body on the tree (1 Peter 2:24). Justice and judgment are seldom combined with mercy and truth. Since all have sinned and come short of the glory of God (Romans 3:23), all of us deserve death (Romans 6:23), not mercy and truth. But because Jesus paid for all our sins (2 Corinthians 5:21 and 1 Peter 2:24), mercy and truth are now offered to us in Jesus (Psalms 85:10). First of all it says He by no means clears the guilty. That was under the Old Covenant. Under the New Covenant, our guilt has been canceled. The Law produced guilt. 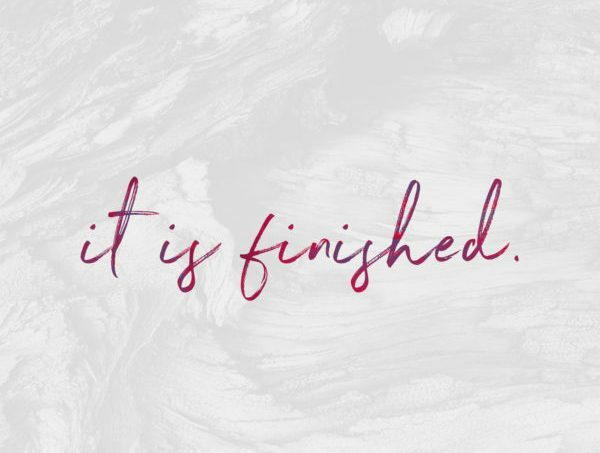 Jesus took the Law as a document and nailed it to His cross, in effect writing across the bill “Paid in Full.” The New Testament believer is no longer under the Law ( 1 Corinthians 9:21, 1 Corinthians 10:23, Romans 3:19). Romans 3:19-20 — Now we know that what things soever the law saith, it saith to them who are under the law: that every mouth may be stopped, and all the world may become guilty before God. (20) Therefore by the deeds of the law there shall no flesh be justified in his sight: for by the law is the knowledge of sin. I also have an issue with this verse saying God will visit the iniquity of the father’s upon the children Ezekiel 18:3 and Jeremiah 31:30 both say that everyone shall die for his own iniquity. This is speaking of the New Covenant….. Jeremiah 31:31-34 says Behold, the days come, saith the LORD, that I will make a new covenant with the house of Israel, and with the house of Judah: (32) Not according to the covenant that I made with their fathers in the day that I took them by the hand to bring them out of the land of Egypt; which my covenant they brake, although I was an husband unto them, saith the LORD: (33) But this shall be the covenant that I will make with the house of Israel; After those days, saith the LORD, I will put my law in their inward parts, and write it in their hearts; and will be their God, and they shall be my people. (34)And they shall teach no more every man his neighbour, and every man his brother, saying, Know the LORD: for they shall all know me, from the least of them unto the greatest of them, saith the LORD: for I will forgive their iniquity, and I will remember their sin no more. Under the New Covenant, the sins of the fathers are not passed down generation to generation. As for Numbers 23:19 I’m not sure why this one is included to prove that God hates and punishes sin and rewards and loves righteousness. This verse is talking about Balaam being powerless to overturn God’s blessings. The last verse given is Romans 9:14. The verse before it says Jacob have I loved and Esau have I hated. Jacob was called to a higher position than his brother, Esau, before they were born, but that does not display any rejection of Esau on God’s part. I’m not sure what this verse has to do with God punishing sin and rewarding righteousness. If anything it disproves it. He chose Jacob and Esau before they had done any good or evil, to illustrate that election was not based on performance but choice. Of course I believe God is just. Sin had to be dealt with. The price for sin, all sin, has been paid! God dealt with sin once and for all in Christ. He is now focused entirely on righteousness. Jesus did not just take our sin; He became the embodiment of it, so that we could become the embodiment of righteousness (2 Corinthians 5:21). Some scriptures about God being just that should encourage you…..
the word for merciful is hileos which means appeasing divine wrath; It means propitious, describing God’s covenant-mercy which rescues the believer by His atonement (bringing divine satisfaction). propitiation is hilasmos in Greek meaning to appease wrath; an offering to appease (satisfy) an angry, offended party. Hebrews 7:26-27 For such an high priest became us, who is holy, harmless, undefiled, separate from sinners, and made higher than the heavens; (27) Who needeth not daily, as those high priests, to offer up sacrifice, first for his own sins, and then for the people’s: for this he did once, when he offered up himself. Hebrews 10:11-14 By the which will we are sanctified through the offering of the body of Jesus Christ once for all. (11) And every priest standeth daily ministering and offering oftentimes the same sacrifices, which can never take away sins: (12) But this man, after he had offered one sacrifice for sins forever, sat down on the right hand of God; (13) From henceforth expecting till his enemies be made his footstool. (14) For by one offering he hath perfected for ever them that are sanctified. Romans 5:18-21 So then as through one transgression there resulted in condemnation to all men, even so through one act of righteousness there resulted in justification of life to all men. (19) For as through the one man’s disobedience, the many were made sinners, even so through the obedience of the One the many will be made righteous. (20) The Law came in so that the transgression would increase; but where sin increased, grace abounded all the more, (21) so that, as sin reigned in death, even so grace would reign through righteousness to eternal life through Jesus Christ our Lord. There are so many more verses that we could list. I encourage you to study it for yourself. Instead of finding Old Covenant Scriptures to “prove” that God hates and punishes sin look for New Covenant Scriptures that will show you what Jesus did for you. Romans 3:26 shows us the nature of God being Just…… This was also to demonstrate his righteousness in the present time so that He would be just and the justifier of the one who lives because of Jesus’ faithfulness. His righteousness and His justness are demonstrated in that all men have sinned and fallen short of the glory of God (v.23) and yet God with undeserved kindness declared us righteous through Christ when He freed us from the penalty of sin (v. 24) because Jesus became the sacrifice for sin, shedding His blood for us. He is a very just God… who has defeated sin and its power in our lives, completely forgiven us and has declared us righteous. IN CHRIST His justness is clearly seen. Next blog post is part 3 and talking about wrathful…..